You are a dream; you are a vision; you are the vivid inspiration that guides you through the darkest nights; you are the embodiment of your own chosen folly. On the hills above Vienna, in a derelict sanatorium, the air is charged with the timeless essence of those who first unlocked the gates to our minds and to the demons and the angels who pace our subconscious. Did Freud restlessly pace the floors of Cobenzl hurrying to an appointment? Did Reich dance naked here with his clients, loading up the powers of the Orgone? How many souls have created and destroyed, danced and laid still, screamed in agony and in lust in the lush rooms of the Luftschloss? Join us for a night of radical creation and self-expression where the liminal walks on stage, where we shamelessly flirt with our demons, and where we wear our follies proudly on our sleeves. 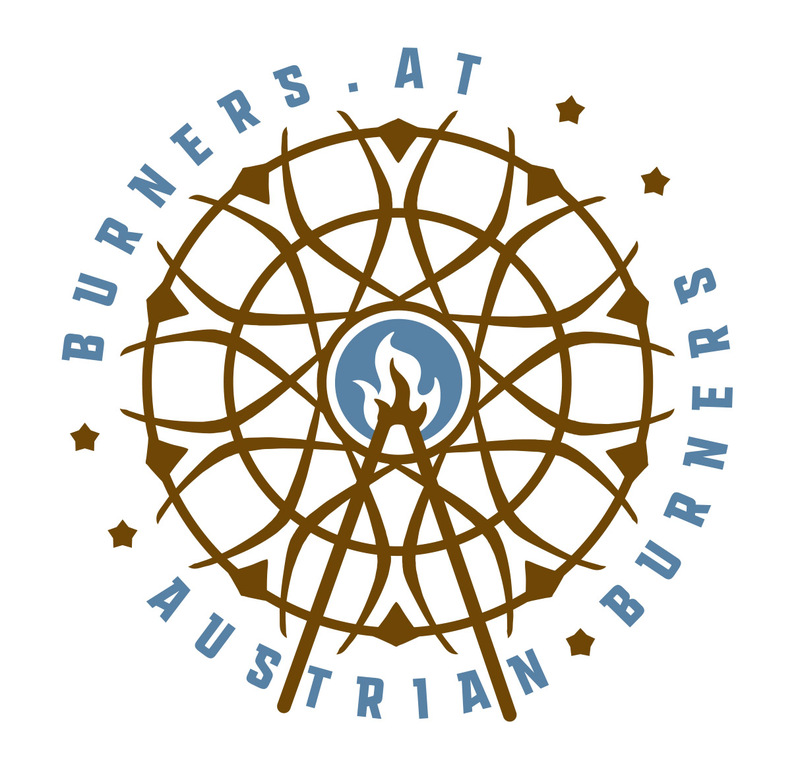 This event is organised by Austrian Burners who are inspired by the spirit of the Burning Man festival and community, and strive to establish this spirit in their local community. 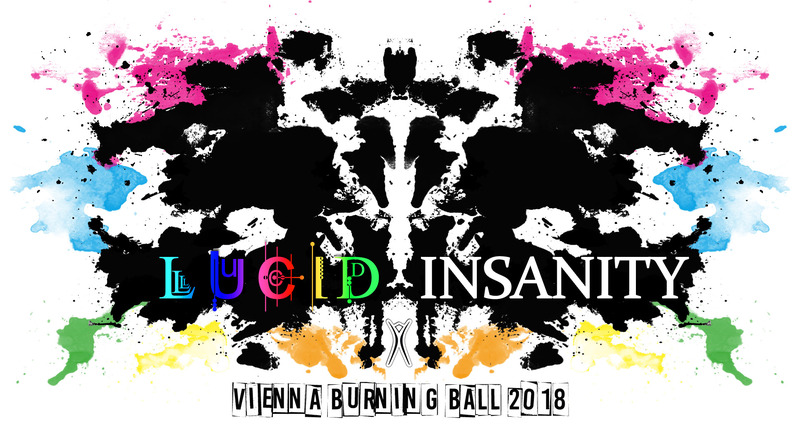 The Vienna Burning Ball has been celebrated annually since 2014 and is similar to a Burning Man decompression gathering. This means that burners from near and far come together to celebrate and remember previous Burning Man events. But the Vienna Burning Ball is also an event that is especially welcoming to interested people, that are new to the amazing world of the Burning Man community! Each Vienna Burning Ball has a theme, which should provide some creative inspiration for art projects, performances and costumes. This is NOT a regular party! It is a special space in time and place, where each attending individual is not just a guest, but a participant - bringing their unique potential to create something extraordinary together. This means that everything you will see and experience on the ball is being created by volunteer participants only. You can be a part of this creation to any extent you want - or you can just take in the whole experience at the event and interact with art projects, installations and people. If you have some special talents, you are sincerely invited to come and perform with whatever talent you are given (music, dancing, acrobatics, ...), create and bring some unique artwork (big or small, loud or quiet, interactive or static, ...), offer to hold a workshop before the event, volunteer to help with building, decorating, greeting, ... - or think of something completely different to contribute to this event! Let's join our creative energies and create something memorable. The Burning Man community is built on 10 Principles, which are the fundament of the creative and positive environment, that we want to create. Each participant of the Vienna Burning Ball should be familiar with the principles, to ensure that we all come together in the safe space that Burners can call their home. We especially value the principle of "Radical Inclusion", and interact with each other without prejudices and in a respectful way. Please be aware that there are some restrictions on some of the principles and drinks will be sold at a bar ONLY (don't bring your own). NO PHOTO POLICY: This event has a no-photo policy. If you are interested in taking pictures please contact us to acquire a tag. There will be official photographers to take the best possible picture of you in your fabulous outfit (with your permission of course). We will also have an assigned area where taking pictures is allowed. Everyone has the inalienable right to his image and not to be shown on other people’s photos or videos. Please respect privacy. Please note: EVERYONE who wants to participate in the Vienna Burning Ball needs to become a member by buying a membership, including artists, performers, DJs, organizers and volunteers! There will be NO memberships sold at the doors! If you arrive at the airport, take one of the trains S7 in direction "Wien Floridsdorf", then get off at "Wien Mitte - Landstraße" and go to the metro station of the U4 line. Use the metro U4 to go to "Heiligenstadt" (last stop). From there, get on the bus 38A in direction "Kahlenberg" (or "Cobenzl Parkplatz) and get off at the station "Cobenzl Parkplatz". Busses leave every 30 minutes from Heiligenstadt, the last bus leaves at 22:36. To go back, the last bus leaves Cobenzl at 23:00 - the first bus leaves at 08:17 in the morning. The metro U4 runs 24h a day. There is a taxi stand at the U4 station "Heiligenstadt", from where it is a 15 minute car ride (~6km) to the location. The fare will be approximately 15€ - be smart and share your ride! Uber taxis might be a good option too. There is a huge parking lot at the location. Please think about your burner friends and the environment and share rides!